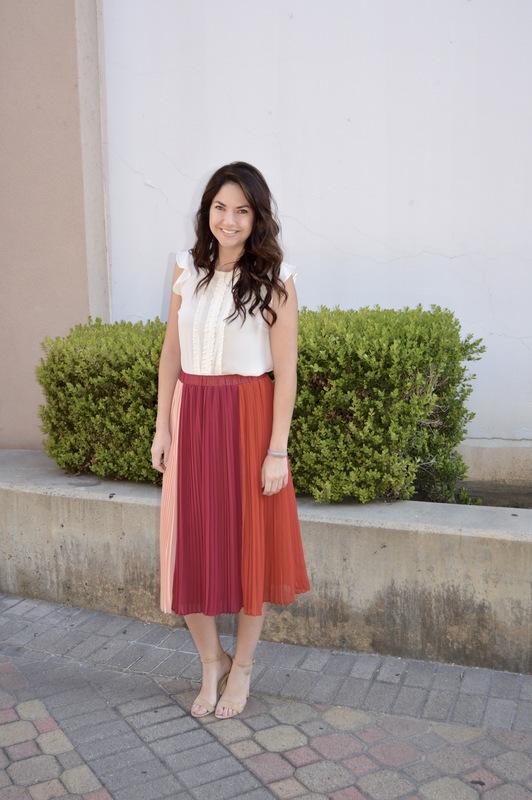 Will you please check out this color blocked, pleated midi skirt I found from WhoWhatWear at Target?! It instantly caught my eye. I saw it and picked it up, then put it back. They I came by it again and touched it, but left it again. Then a THIRD time I picked it up and held it up to myself in the mirror. Okay, okay, SOLD! I had to get it, which surprised myself that I liked it so much. I am not normally drawn to reds but I loved this. There are even red slacks I have my eye on. I think I just love how bright it is, the skirt is such a statement piece. The skirt IS the outfit which is why I paired an off with top with it. The top needs to be simple with this skirt, otherwise I would look like a walking fiesta! Find the skirt here and the top here!